Thirteen-year-old Pelumi Fawibe, an apprentice photographer, has yet to recover from pains after his boss, Olajide Olaoye, reportedly damaged his scrotum while he was beating him with a wire for being obstinate. Our correspondent learnt that the boy had been living with the boss for three years before the incident happened on Sunday, February 15, at his shop in Ile Epo bus stop, Badagry, Lagos. Fawibe was said to have been admitted to the Badagry General Hospital, while the boss was arrested by the police from Area K, but was released afterwards. Residents around Olaoye’s shop told PUNCH Metro that on Monday that the boss had consistently assaulted the boy. An eyewitness, who identified himself only as Gbade, said the extent of the injury to Fawibe’s private parts prompted people to alert the police. It was gathered that the man had told Fawibe to wash his clothes on that day, but the apprentice allegedly went to play with his friends and returned in the afternoon. The action was said to have infuriated Olaoye who instructed him to kneel down and raise a piece of stone. It was learnt that the stone fell from Fawibe’s hands on the head of a boy in front of him. The apprentice, who spoke in Yoruba, said, “I am learning photography under him (Olaoye). He is my uncle and I have been living with him for three years. However, the boss said Fawibe was notorious for coming home late, stealing and absconding from the shop. He said the injury to his private parts was accidental, adding that he would take him back to his mother soon. “He is a very stubborn boy. His mother brought him to me three years ago. I enrolled him in a primary school and he is also my apprentice. He is in Basic 3 now whereas he ought to have finished, but he is dull. His stubbornness provoked me to beat him up. I mean well for him. He usually returned home late. “That Sunday, I told him to wash his clothes at the shop. He left home and went somewhere else to play. He came back in the afternoon and I was angry with him. I told him to raise a stone and assigned a boy to flog him if he did not raise his hands properly. “He let the stone fall on the boy’s head and that was why I beat him up. I didn’t intend to harm his private parts. It was a mistake. I would have taken him back to his mother, but he is still receiving treatment at the hospital and I want him to recover fully,” he said. Olaoye’s brother, Seyi, said the matter had been resolved. 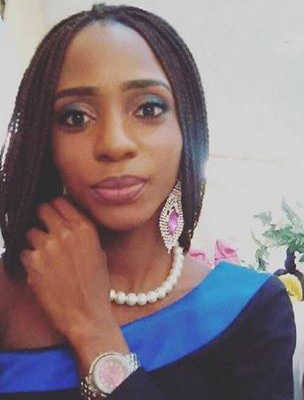 The Lagos State Police spokesperson, SP Dolapo Badmos, promised to get back to correspondent with comments on the incident but had yet to do so as of press time.